“ I remember the planes coming back in a snowstorm and you could hear them but not see them. Around D-day you could hear the planes warming up on the airfield around five in the morning. 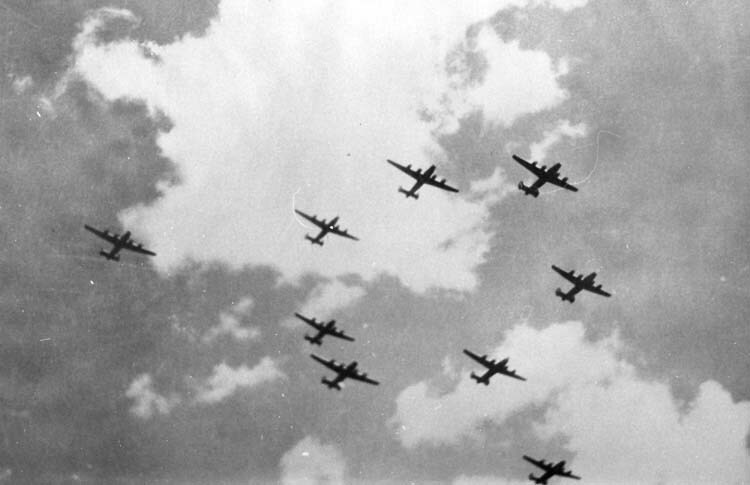 On Christmas Eve 1944 the airfield put up 52 bombers which meant 208 engines warming up. You could hear them down in Sudbury. As they took off there was only 30 seconds between them. It was a case of one then the next, then next. If they took off at 9am, at 9.30 they would still be circling around – Sudbury was an assembly point.